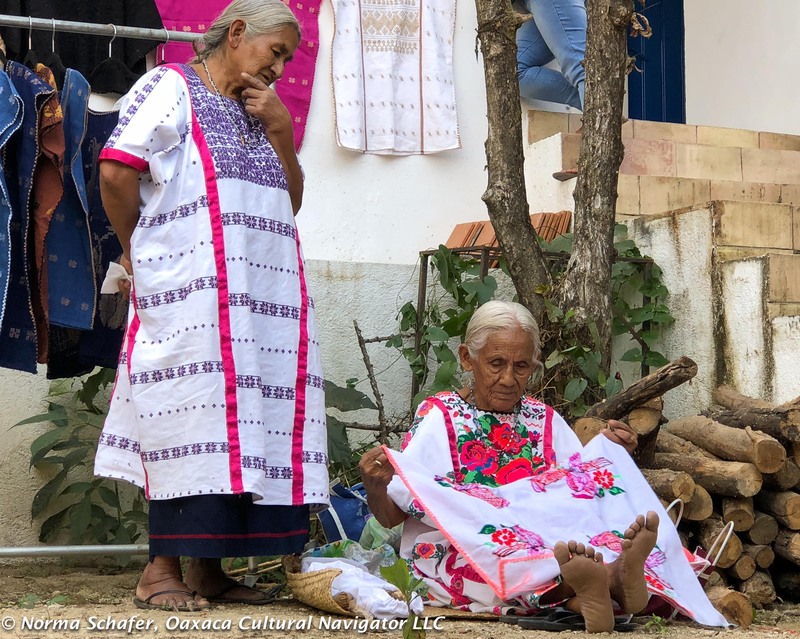 San Pedro Amuzgos is an Amuzgos village nestled in a mountain valley seven hours by winding road from the capital city of Oaxaca. It is closest to Tlaxiaco, but not really. 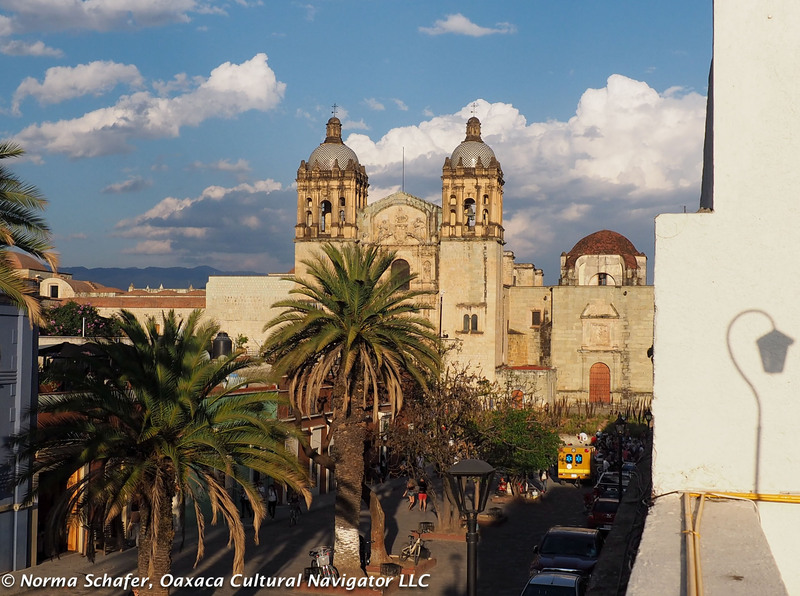 You can get there following MEX 125 by private car or on a regional bus from Oaxaca (or you can come with us). The road is a ribbon through mountain passes. 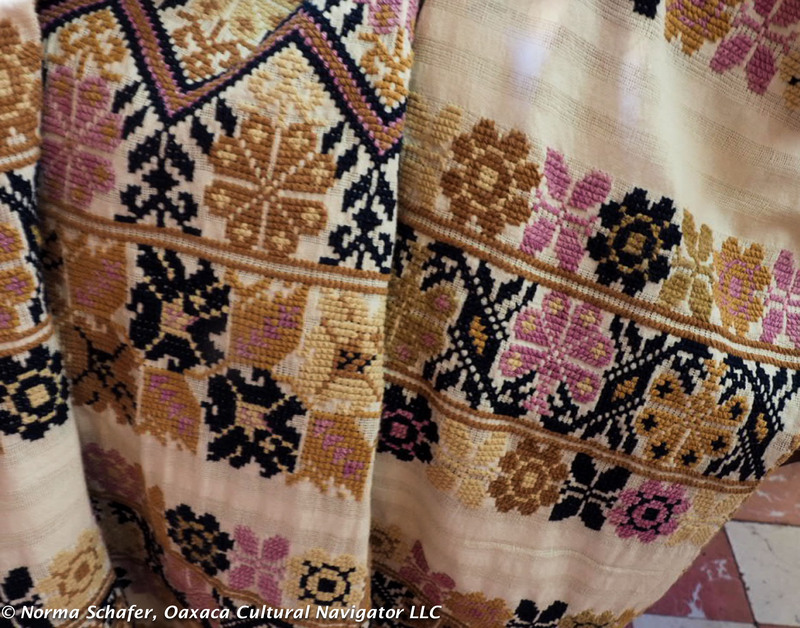 Here, women have woven on back strap looms for centuries, long before Mexico’s conquest by the Spanish. Their themes are birds, flowers, vines, trees, the stories of creation, fertility, birth, marriage and rebirth after death. Life here is a continuum. 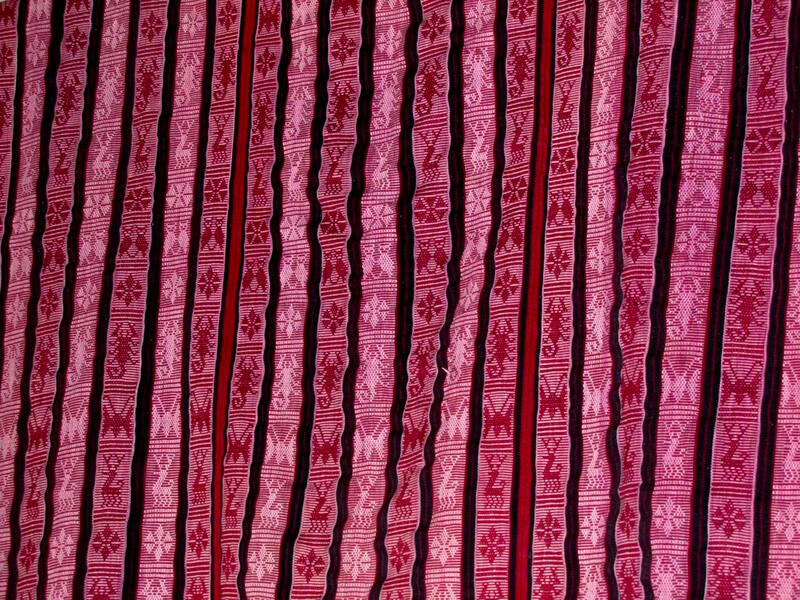 Cloth is a covering but also a journey. Women will be buried in their wedding huipiles. 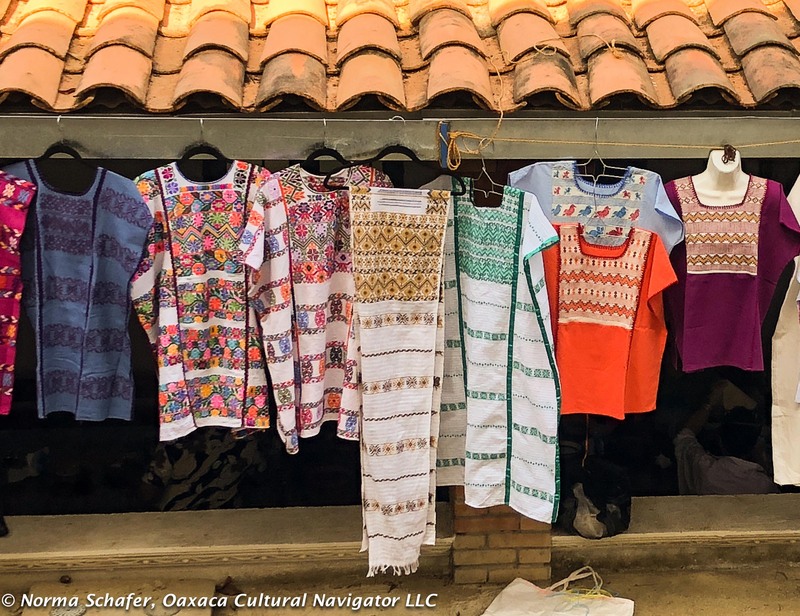 Many of the designs span the Oaxaca-Guerrero border where Amuzgos live. 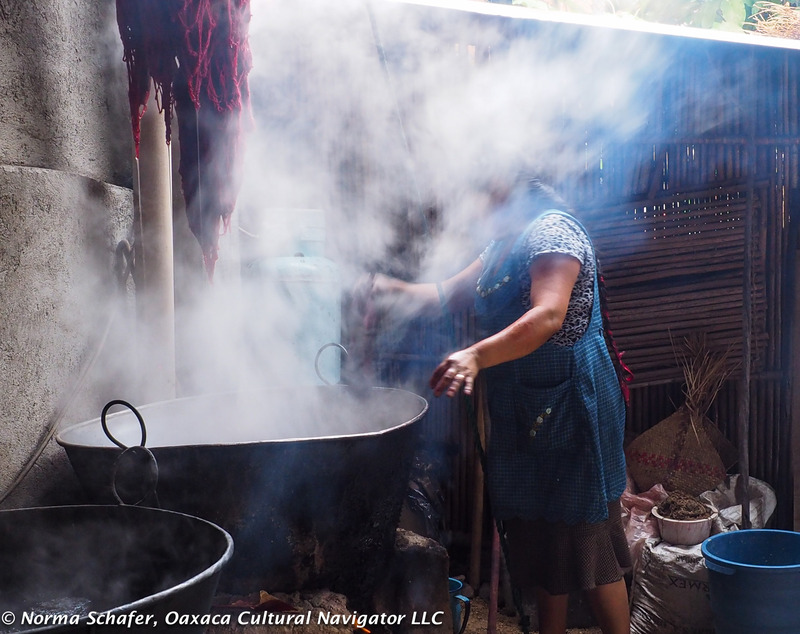 At the northern border of Oaxaca and Guerrero, San Pedro Amuzgos is not easy to get to. 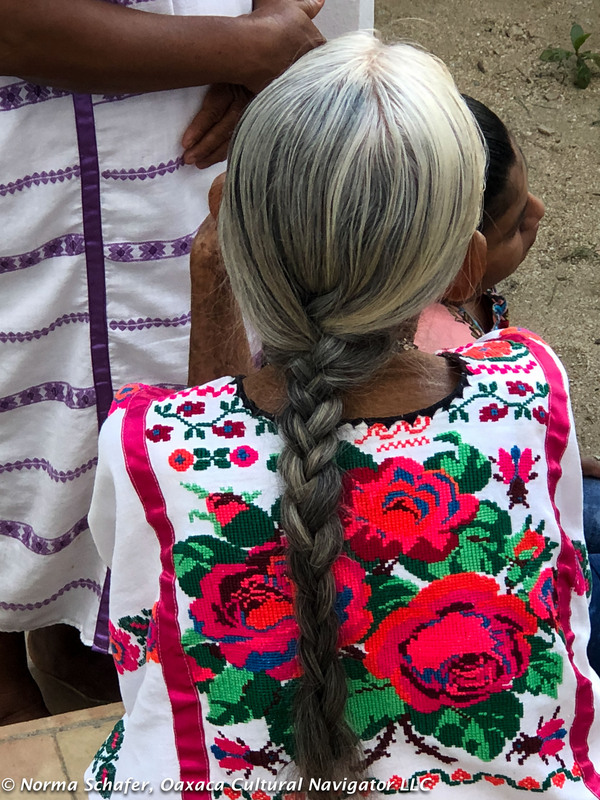 We take the coastal route from Puerto Escondido, diverting northeast from Pinotepa Nacional through hills dotted with banana palms and dusty arteries. In bigger towns along the way, regional schools and rural health clinics offer local services just steps from the main paved highway. 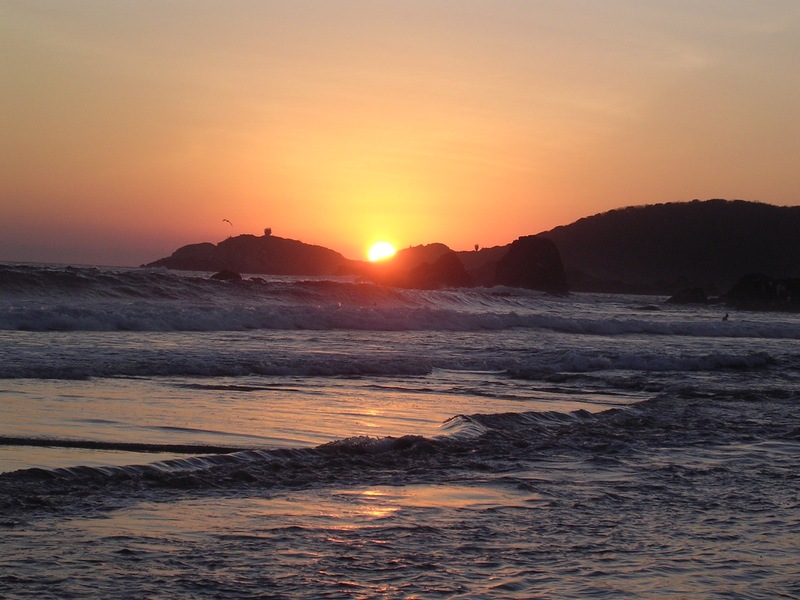 We are a good three hours from Puerto Escondido as the ribbon curls. The road narrows as we travel further. You don’t get anywhere fast here. Our destination is the cooperative Arte Amuzgos founded by Odilon Merino Morales. 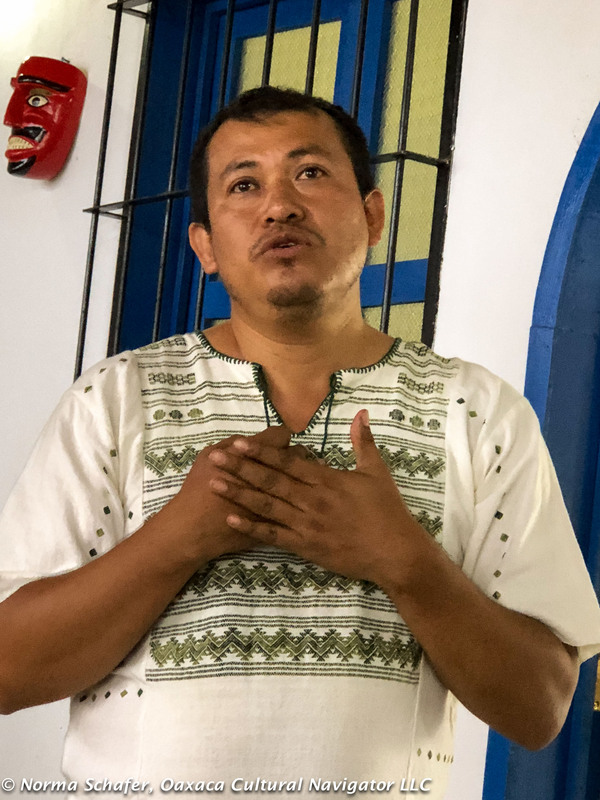 He is an innovative organizer and promoter of traditional weavers who work in the highest quality materials, including natural dyes and native cotton. We are returning in 2019. Want to go? Email us. 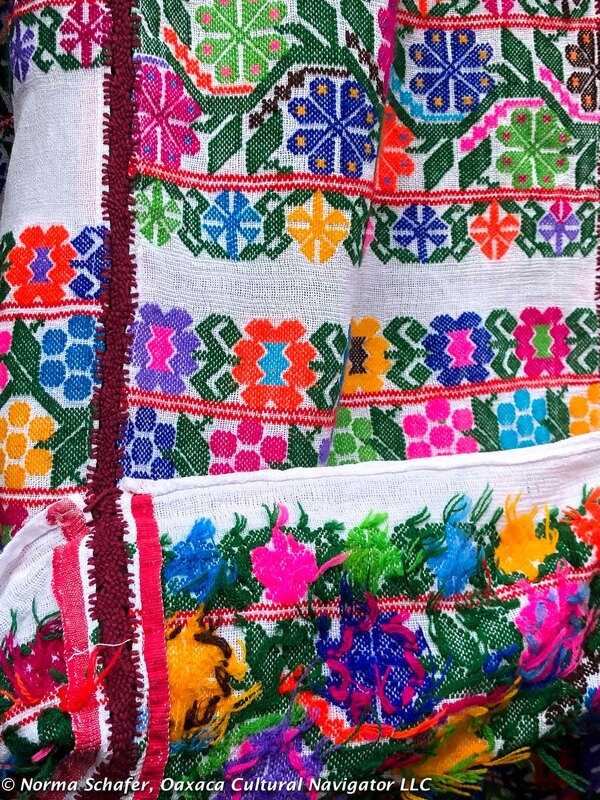 It is not unusual to find blusas (blouses) and huipiles (dresses) woven with native green, coyuche and cream cotton. 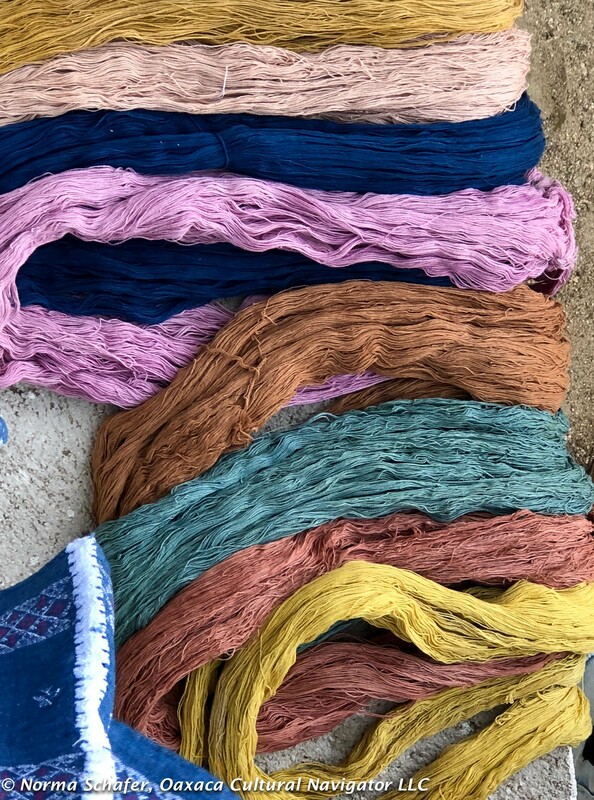 Cotton dyed with caracol purpura purple, cochineal red, indigo, nanche (a fruit), pericone (wild marigold) and nuez (pecan shells) are staples of the palette here. 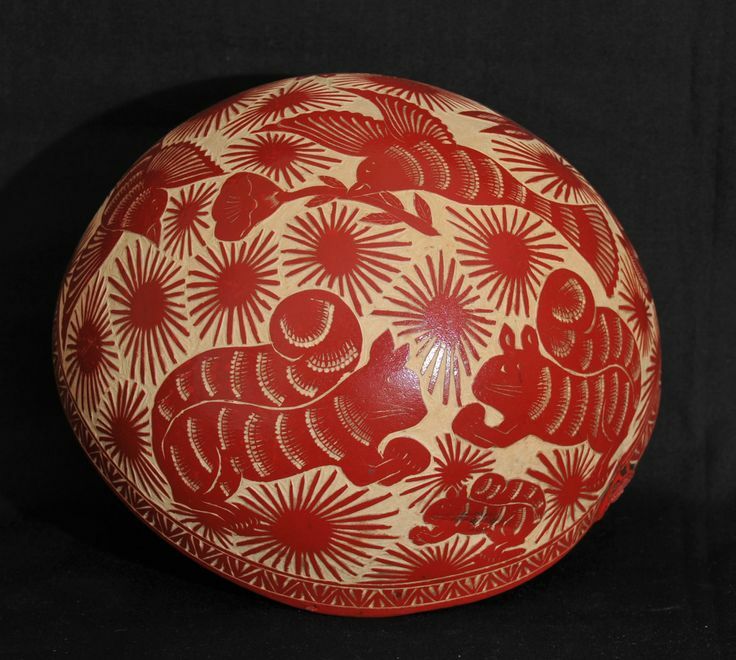 Odilon has attended the Santa Fe International Folk Art Market for many years. With proceeds from sales there, he reinvested in his community by building a cultural center in San Pedro Amuzgos. It includes three guest rooms and a bath, exhibition and dining space. There are plans for more. He receives visitors for demonstrations, exhibitions and meals. 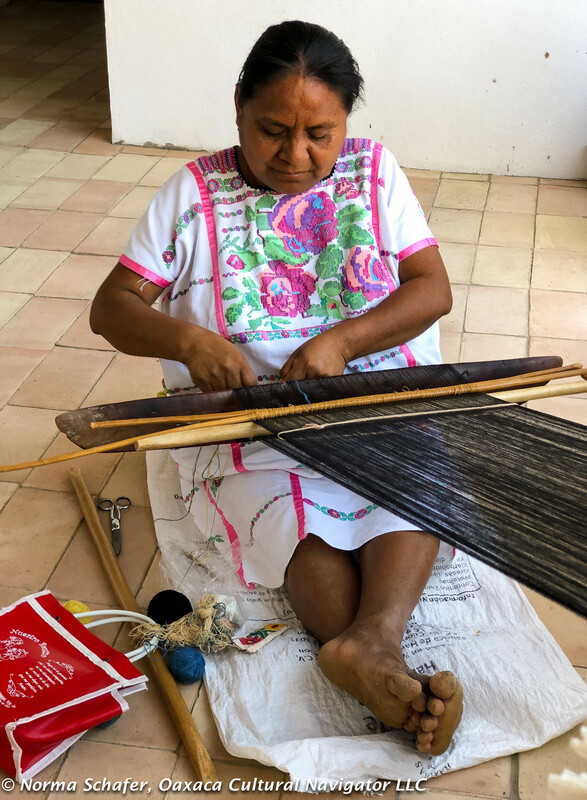 I know Odilon from Oaxaca city, where his gallery Arte Amuzgos holds beautiful textiles woven by women in the cooperative. They include his mother, sisters, aunts, cousins and nieces. 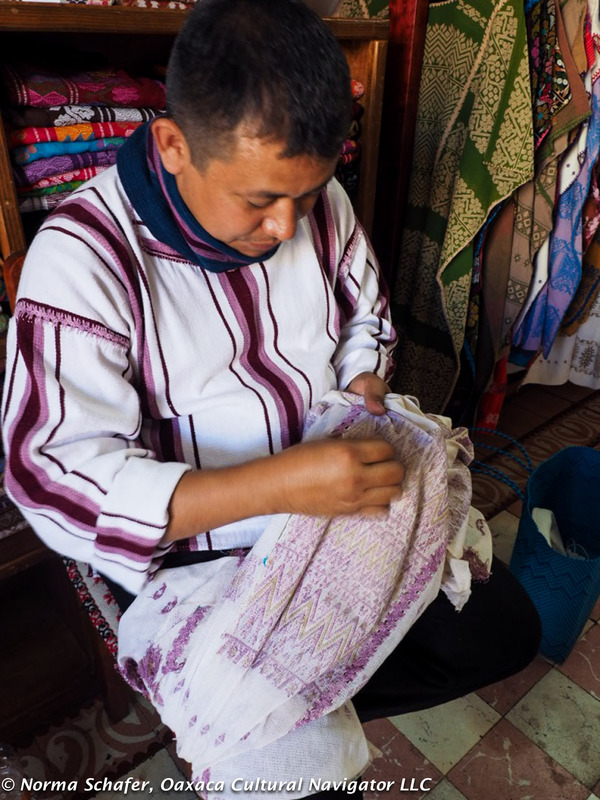 The men in the family are farmers who also raise the local cotton, prized for its rarity and natural beauty. 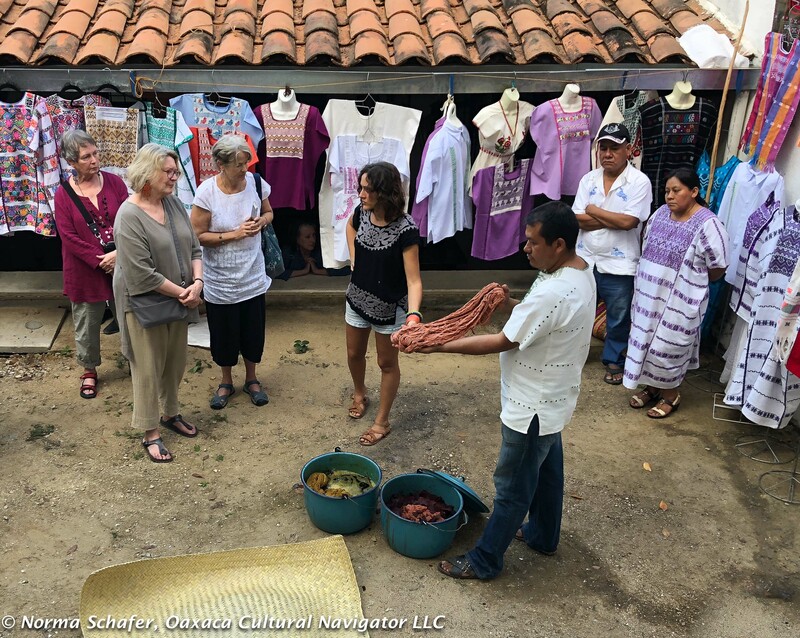 I’ve always wanted to make a pilgrimage to his village and made sure to include it on our Oaxaca Costa Chica Natural Dye Textile Study Tour. 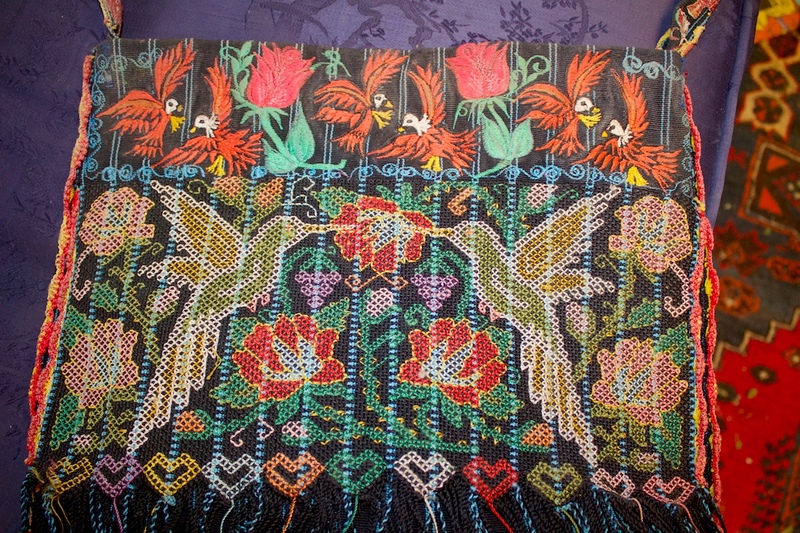 Flowers and animal life adorn this huipil. This is not embroidered! 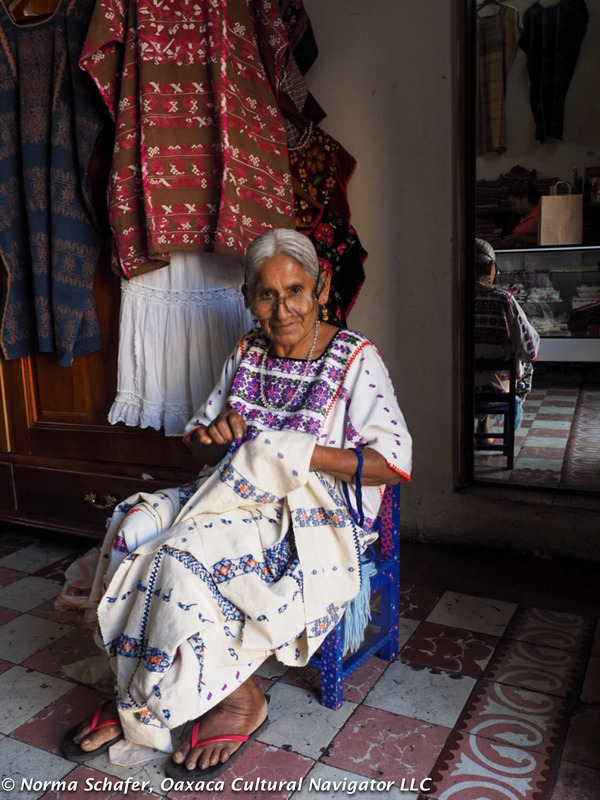 During our visit, Odilon tells us that years ago before the cooperative was formed, traders came to town to source the most beautiful garments for sale in the city. They bargained hard, offered women a pittance for their labor. 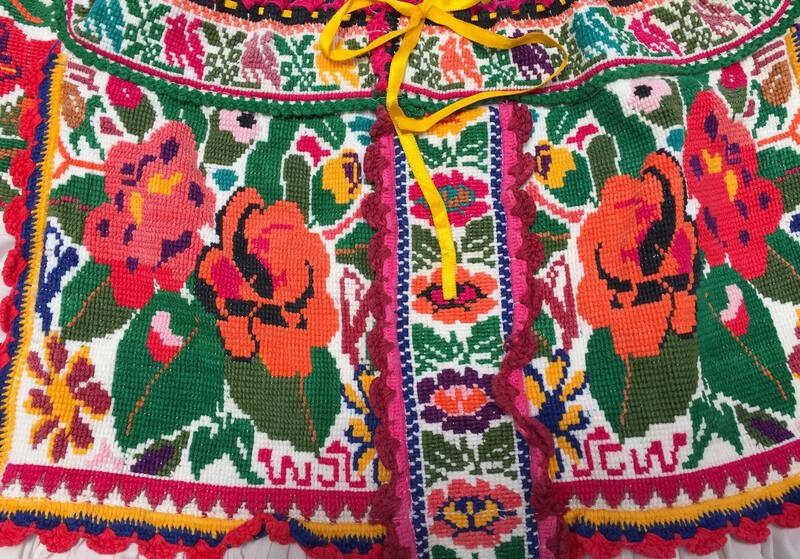 An intricate huipil can take six to twelve months to weave. That does not include the time to grow, beat and dye the cotton. 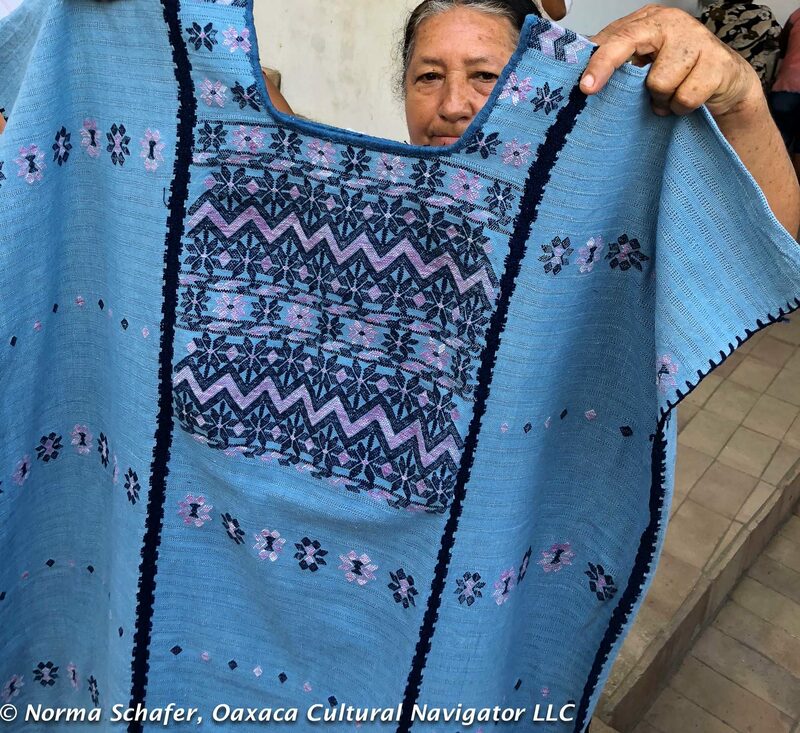 If the trader bought a garment for 1,000 pesos, they would sell it for 2,000 pesos, then the Oaxaca retailer would mark it up to 6,000 pesos. Fair trade was not a concept then and there was no opportunity for villagers to directly reach consumers. Language was a barrier, too. 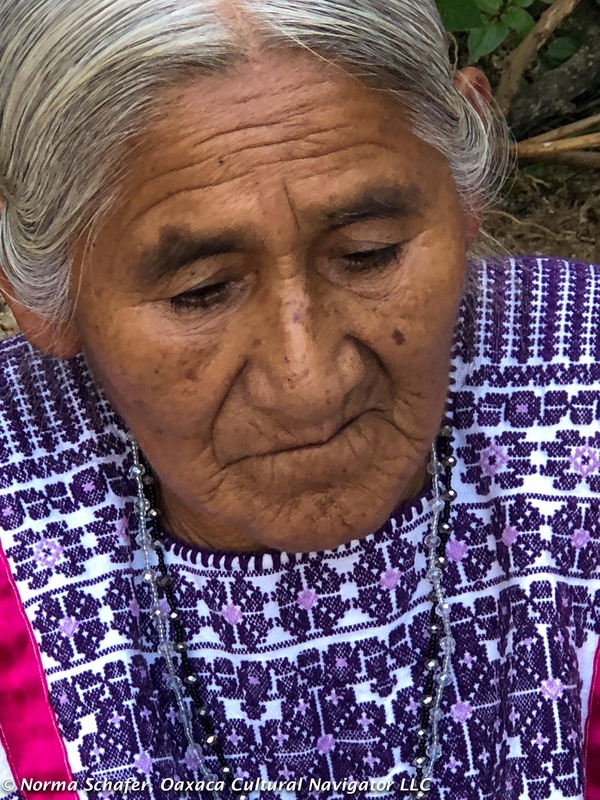 The grandmothers spoke Amuzgo. Business was conducted in Spanish. They made do with what was offered them. No more for the women and men of Arte Amuzgos. 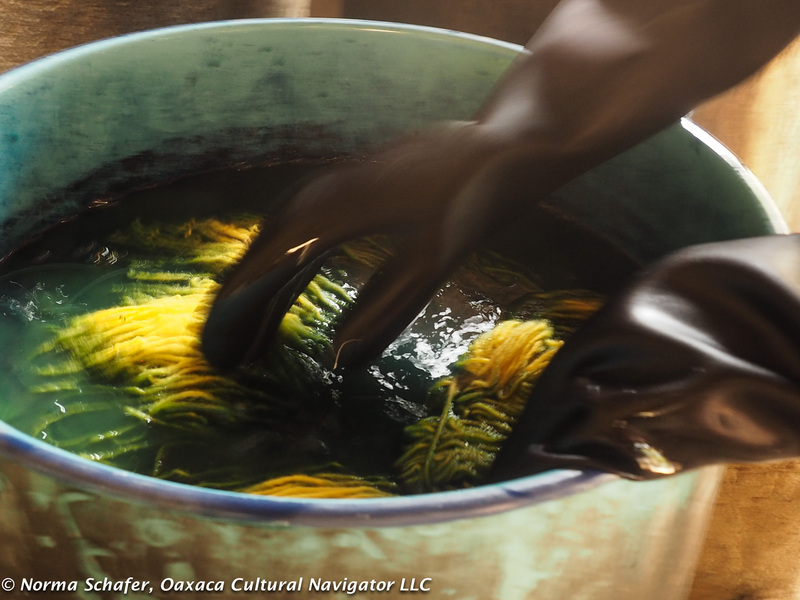 Direct markets, from maker to consumer, are difficult to develop for most Oaxaca artisans. They rely on people to represent them and the cost is dear. As a result, the artisanry is either dying out or the quality of materials deteriorates as people look to cutting costs. 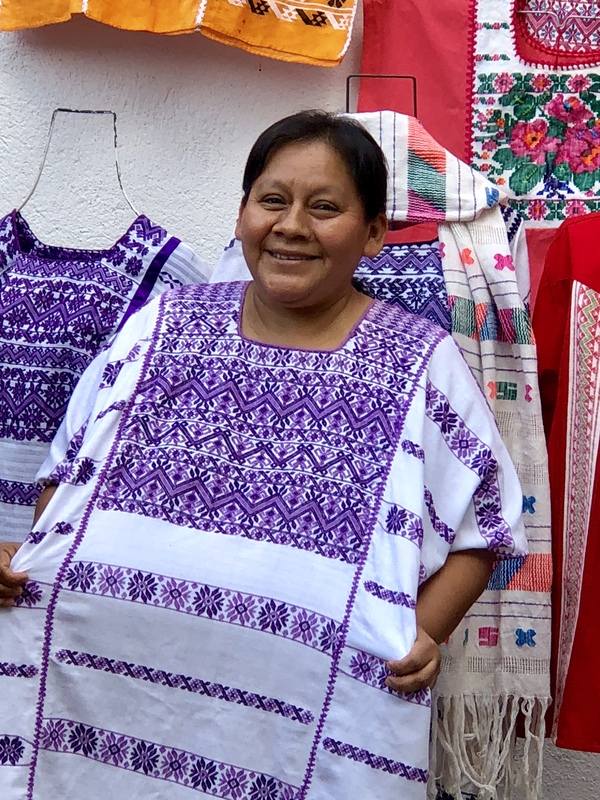 Thankfully, Odilon Merino Morales and his wife Laura, have created a market for their people who receive a fair and living wage for their work.